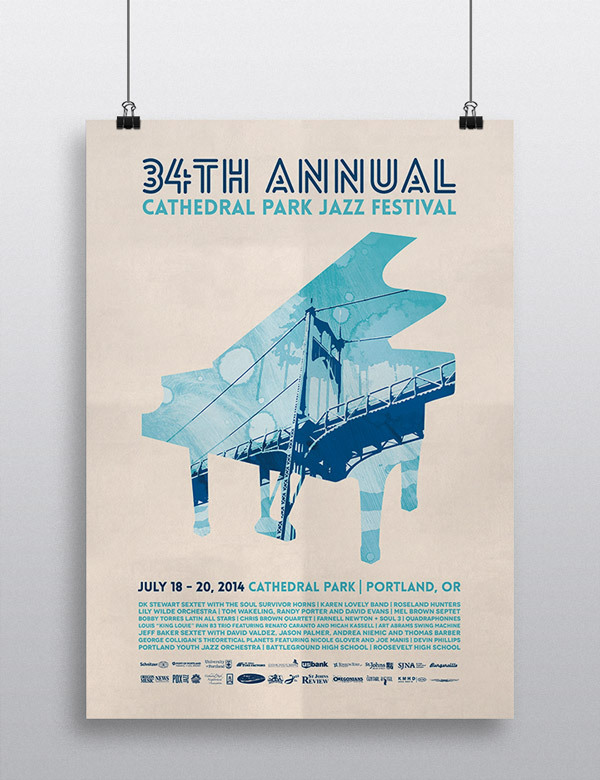 In the summer of 2014, the 34 year old Cathedral Park Jazz Festival changed hands from its dissolving organization over to the Jazz Society of Oregon. 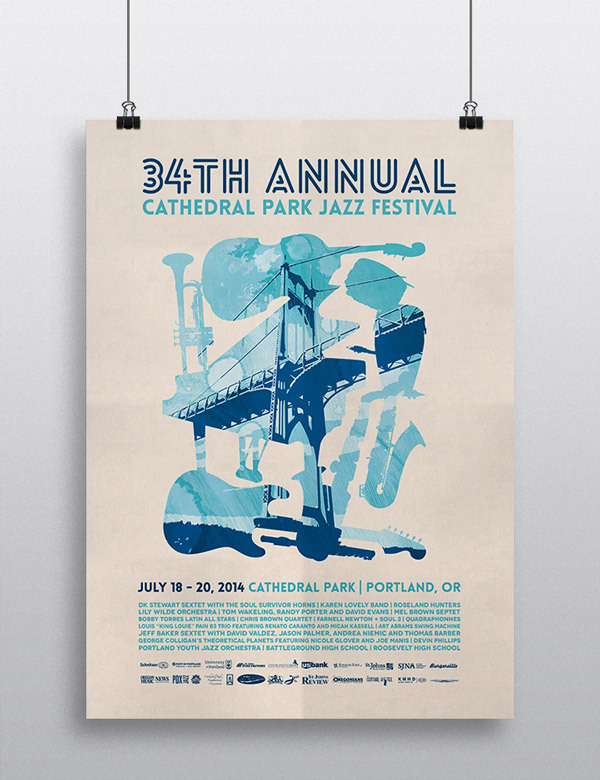 JSO decided to re-brand the festival by creating a new poster design and merchandise promoting the event, and hired Rare Dimension for the job. 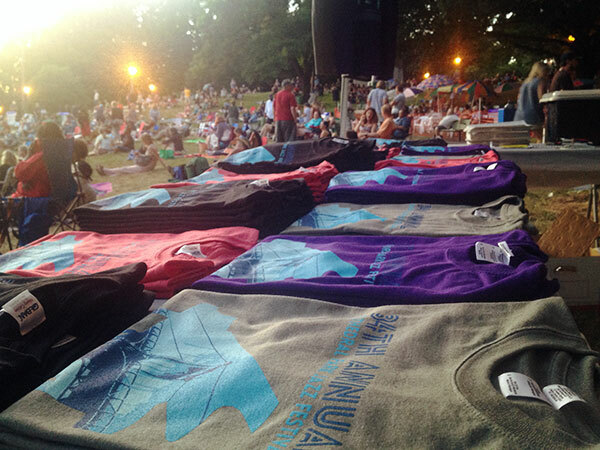 Two designs were created for the festival: one showcasing multiple jazz instruments, and another with a lone piano. Both treatments have a tri-tone image of the iconic St. John's bridge (from which the park gets the "cathedral" name) incorporated into the shapes, along with a rain splotched texture overlay for added depth and performer names and sponsor logos below. The same design was modified and adapted for use on a silk-screen by simplifying the texture overlay and reducing the colors to just four. I also consulted and worked closely with the silk-screen shop to oversee the process of the shirt printing to keep the look consistent with the poster design.